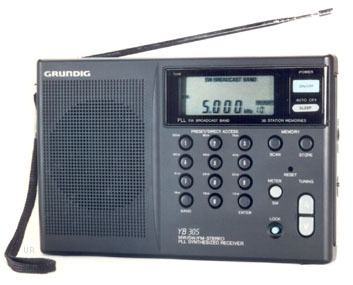 The Grundig Yacht Boy 305 covers the AM band to 1710 kHz and shortwave from 2300 to 21850 kHz. FM (87.5-108 MHz) is included with stereo provided to the headphone jack. 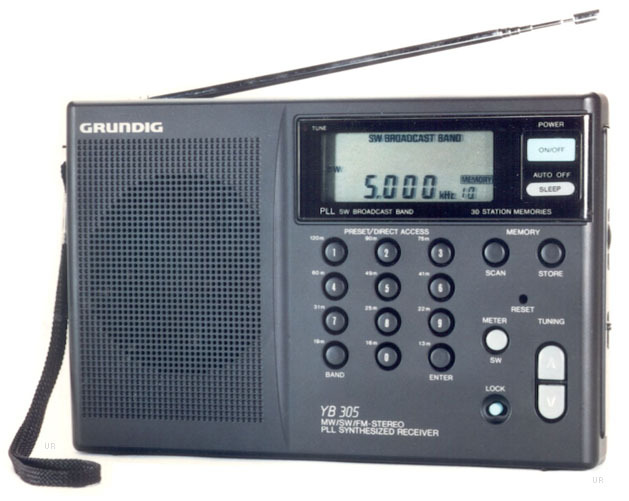 The illuminated digital display provides tuning resolution at 5 kHz on shortwave. 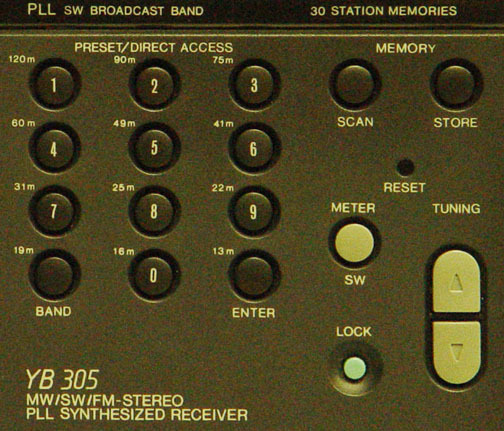 The keypad will quickly get you to any frequency or store 30 of your favorite stations in the presets. Other refinements include: HI/LOW tone switch, LOCAL/DX switch, Sleep Timer (90-60-30 minutes) lock button and 9/10 kHz MW step selection. The MW ane FM step switches are located inside the battery compartment. External jacks are provided to earphone (3.5 mm), antenna (3.5 mm) and 3 VDC input. The YB-305 requires two C cells. 7.5 x 5 x 1.5 inches 19 ounces. The YB-305 has been discontinued and replaced by the YB-400.